“Every line is a possibility” was the title of a public lecture given by Karim Nader at the Department of Architecture and Design at AUB on Monday the 31st of October 2011. Karim Nader along with Walid Ghantous and Patrick Mezher founded BLANKPAGE architects back in 2000 as a collaborative design studio of architects, urban designers and artist. The lecture started off with a display of some of BLANKPAGE architects‘ under construction projects which then led to the presentation of their latest project, a winning entry of a competition to design an office and residential building in the Tabaris area. The project was then extensively explained to highlight BLANKPAGE architects’ approach to architecture. Karim Nader presented the project by first introducing the site and the challenge it proposed with its location between two opposing urban situations, the neighborhood nature of Rue Du Liban and the towering buildings of the Fouad Chehab street. As a result, the design of the building had to respond to the surrounding persevered buildings on one hand while at the same time landmarking at the scale of the buildings on the Fouad Chehab street. As a solution, the building’s program was manipulated in the site to create a series of patches that interconnect, respond to each other and ultimately reach out to the different parts of the site accordingly. This was then reflected, of course, into the interior spaces and the facade in terms of treatment, materiality and experience. 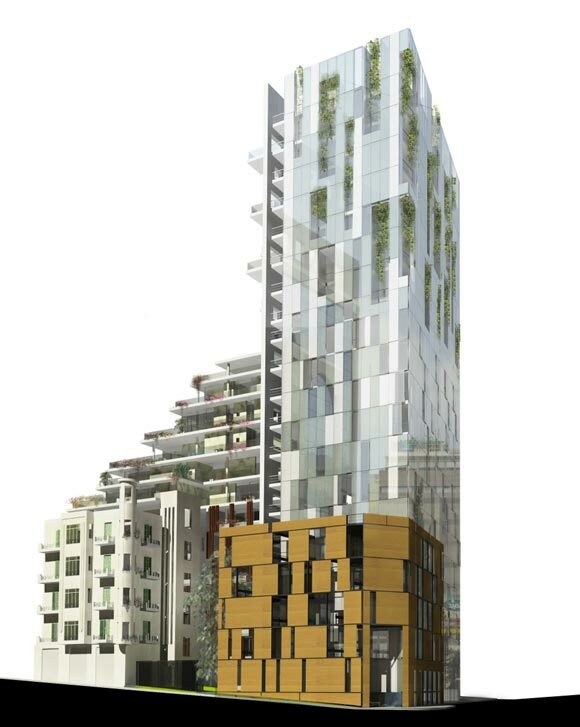 The result then becomes a series of moments whose individuality directly responds to the different site conditions: It is a towering landmark when viewed from the Fouad Chehab Street and a residential building reduced to a more human scale when viewed from Rue Du Liban and from the internal pathways within the building. It is a building that with its smart design takes each aspect of its context to its appropriate dimension and scale. 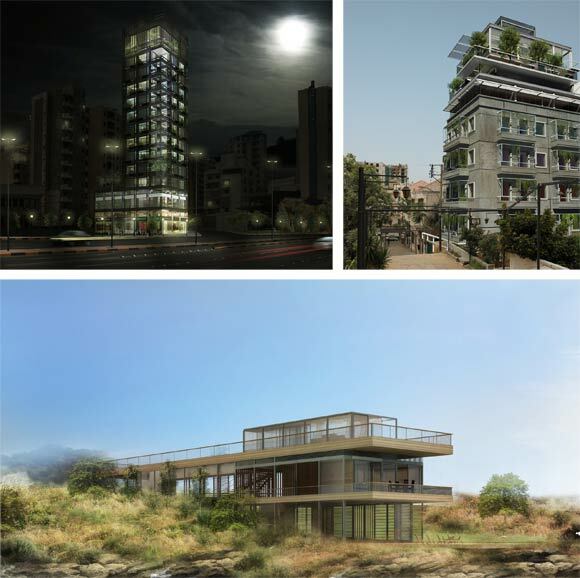 With the presentation of this project, Karim Nader conveyed how their studio’s spirit manifests itself architecturally. How “Every line is seen as a possibility and how every situation tells its own story”, that regardless of the challenges the site has, within every line, condition and boundary is a respective solution that will enrich the process and guide it, something BLANKPAGE architects have worked with extensively. The lecture ended with a slideshow of the Pier 7 project, a recently completed luxury night club on the seaside of the Dora highway. 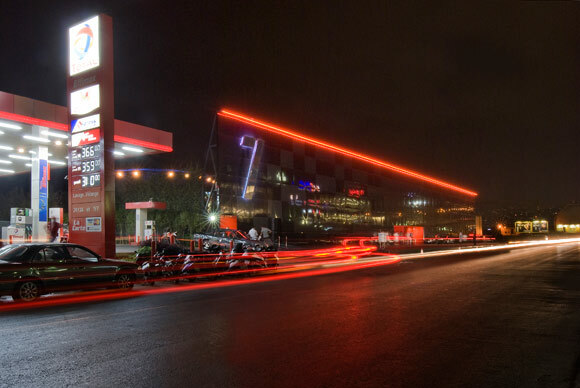 The photos, which were shot by Marc Nader, showed different moments of the project such as the street elevation, entrance, the central bar and dining area and the VIP suites. The lecture was then followed by a brief Q&A session whose focus was the Tabaris Project aforementioned. Karim Nader graduated from the American University of Beirut with a B. Arch’ with distinction in 1999. In 2003, he received his M. Arch’ from Rice University. He has taught and conducted experimental workshops at the American University of Beirut since 2000 and has participated in conferences in Beirut and Europe. He currently teaches at AUB while pursuing his practice which includes architectural design, writing as well as painting and furniture design. He is interested in a variety of fields ranging from eastern philosophy to music and literature. His teaching and design work is a reflection of those multi-faceted interests. Based on a reflection over projects and built work ranging from 2008 until 2011 and their associated narratives, this presentation is a meditation on the questions of engagement, poetry and meaning in the contemporary Lebanese architectural scene. Beirut- Reinventing or Destroying the Public Space?